The annual Studio Art MFA lecture series, Food for Thought, kicks off with four lectures. All lecture are free and open to the public. Below is a selection of resources available online or from UArts Libraries on the artists lecturing this week. Long is a University of the Arts alumni (BFA in Painting, 1981) and is an internationally exhibited artist with over 30 solo shows. He is represented by the Tanya Bonakdar Gallery in New York City. Long’s work is included in Silver Star Alumni Award Exhibition from the University of the Arts, College of Art and Design (Philadelphia: The University of the Arts, 2009). Find it in Greenfield Library Open Stacks, call number 709.22 Un384s. Also watch the video Charles Long (Philadelphia: University of the Arts, 2006). Ask at the desk for Greenfield Library VHS call number GV822. Check out Charles Long: More like a Dream than a Scheme curated by Vesela Sretenovic (Providence, R.I.: David Winton Bell Gallery, Brown University, 2005). Find it in Greenfield Library Open Stacks, call number 709.24 L85d. Jeanne Quinn is a ceramics artist and has exhibited internationally, including Sweden and Taiwan. Read an interview with her from the American Crafts Council website. Her work is also included in Crafting Content: Ceramic Symposium 2008 (Fayetteville, Ark. : Univ. of Arkansas, College of Arts & Sciences, 2008). Find it in Greenfield Library Open Stacks, call number 738.0922 C842u. Pedro Reyes is a Mexican sculptor and media and performance artist. His works aim to increase individual or collective agency in social, environmental or educational situations. Read more about Reyes’ work in Rethinking Contemporary Art and Multicultural Education edited by Eungie Joo and Joseph Keehn II (New York: Routledge, 2011). Find it in Greenfield Library Open Stacks, call number 707.1073 R314n 2011. 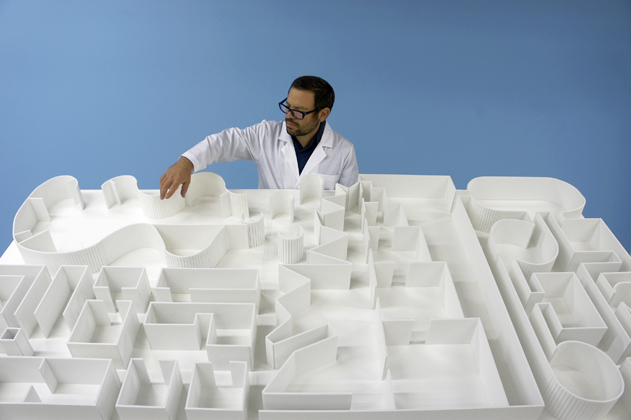 Harper Montgomery reviews Reyes’ Sanatorium from 2009 at the Guggenheim from Art Nexus. 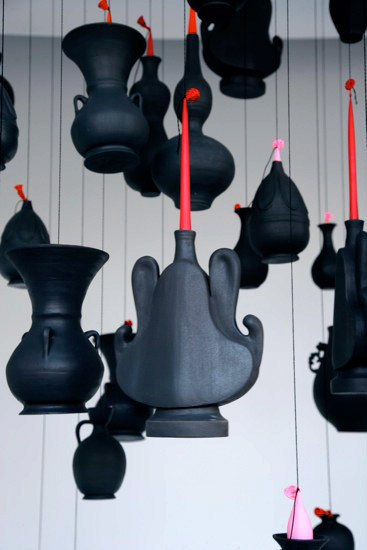 Sadia Salim studied design, majoring in ceramics, at the Indus Valley School of Art and Architecture (IVS) in Karachi. She has exhibited internationally and won numerous awards. Read about Installation in the Bluecoat Vide Art in Liverpool and about Transience from aSYNEDOCHEme. One of the last great comic anthologies published, MOME presents a wide overview of the current crop of alternative and independent cartoonists, from established figures to emerging artists. Highlights include the experimental work of Tim Hensley, the psychedelic visions of Jim Woodring, and the autobiographical work of Lewis Trondheim and Gabrielle Bell. But no matter what, each page is guaranteed to show a unique world within the comics medium.